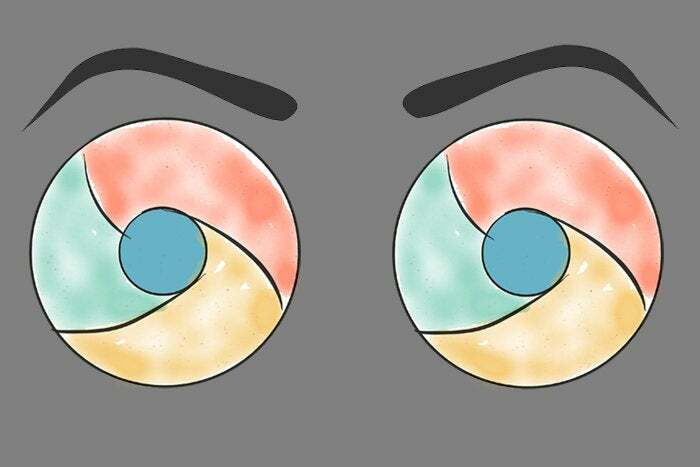 Google's Chrome OS has been quietly reshaping the state of modern computing for some time now — and thanks to a new twist on an old idea, it's about to do it again. 'Twas a time, not long ago, that Google's Chrome OS platform was laughed off by pundits as being a glorified "browser in a box" environment — a limited-use, destined-for-failure setup that'd be practical for practically no one and couldn't possibly amount to anything. Boy, did that assessment prove to be wrong. These days, Chromebooks have evolved into versatile all-purpose productivity machines. To be sure, part of that has been the result of Google's near-constant progression of the platform — but part of it has also been the fact that on the other end of the equation, people's computing habits have slowly but surely been catching up with Google's cloud-centric vision. In 2018, after all, the notion of relying mostly on cloud services for your computing needs doesn't sound so crazy. And even for folks who still have some specific needs unaddressed by that arrangement, a dash of Android apps (and perhaps a hint of Linux compatibility, if you really want to get wild) can frequently be enough to close the gap and make a Chromebook a perfectly suited system for mobile productivity. Now, another one of Google's original Chrome OS concepts is coming back to the foreground — and just like the platform itself, it appears poised to gain from the evolution around it and take on a whole new level of significance. The concept in question is built-in LTE connectivity — something signs suggest Samsung is actively working on for an upcoming Chromebook and that Google itself is integrating into the Chrome OS code in some interesting ways. That may seem inconsequential on the surface, but hang on: As usual, there's more to this story. And as usual, in order to get at the significance of what's happening now, we need to turn our attention briefly back to the past. It's easy to forget, but when the very first Chrome OS laptop came out — the prototype Cr-48 system, before it was even called a Chromebook — one of its defining features was built-in mobile data. Even on that clunky old machine, with rudimentary software that barely resembles the Chrome OS we know today, you could get online anywhere — with or without an active Wi-Fi connection and without the need for any external hotspot. That kind of built-in connectivity stuck around as a core component of the platform through the first commercially released Chromebooks. In fact, Google's inaugural Chromebook sales announcement mentions integrated mobile data as a distinguishing element not of those specific early models but of the Chromebook in general, as a form. And a now-amusingly-dated introductory video makes a prominent point about how Chromebooks can be used to get on the web from anywhere — on a car, in a train, on a boat, or even (oh, yes) on a unicycle. It didn't stop there: Integrated mobile data remained a relatively common option and point of differentiation throughout much of Chrome OS's early era. Systems often came with a small amount of included mobile data per month — for your first couple years of ownership, at least — and then gave you the ability to purchase more as needed beyond that, either a la carte or via monthly passes from a particular partnered carrier. At some point, though, Chromebooks with built-in mobile data kinda fell off the map. For whatever reason, companies just stopped makin' the things. But this time, when the always-connected Chromebook makes its comeback, a powerful twist could give the concept a whole new kind of potential — and appeal. The original mobile-data-enabled Chromebooks, you see, weren't exactly hassle free. Aside from the small amount of included data (which really wasn't enough to do much more than send a few emails in a pinch), you had to activate a plan whenever you wanted the mobile data to work. That inherently required a bit of advance planning — which kind of defeats the benefit of having a computer that can just get online whenever a connection isn't present. It also wasn't especially economical in any long-term, ongoing-use sense. Google, however, now holds a weapon no one else in this arena possesses: its own self-controlled wireless service. That's an important piece of this puzzle, and one that Google seems to be working on wielding to Chrome OS's advantage. How? Simple: With Project Fi in the mix, Google has the ability to offer a unique sort of arrangement for Chromebook users who also own Android phones. Fi, unlike most traditional carriers, doesn't charge exorbitant fees for using multiple devices on a single plan. It allows you to use as many devices across as many SIM cards as you want — something I've previously referred to as its "powerful bonus feature, hidden in plain sight." See where this is going? With Project Fi combined with LTE-ready Chromebooks, the original vision of a computer that just gets you online anywhere, without any thought or hassle, can actually come to fruition. Pop a Fi SIM into your Chromebook — or set it up SIM-card-free via the newer and even simpler eSIM technology, which Google appears to be working on enabling for future devices — and you can keep your Chromebook connected anywhere, automatically and at the same regular rate you pay for data on your phone. The Chromebook, in other words, effectively becomes an extension of your phone. You open it up and use it when you need it, without giving an ounce of thought to the logistics and without paying any silly ongoing fees for the "privilege." Sure, you might be able to pop a data-only Fi SIM into any compatible LTE-enabled device, but most regular users would never think to do that. If Google is smart and presents this effectively — as a prominent, native-feeling, and easily activated option — it could create one hell of a boost for Chromebooks, Fi, and the greater Google ecosystem. And as we discussed in my newsletter not long ago, it could also encourage people to spend even more time online, which is always Google's ultimate underlying goal from a business perspective. Everyone wins. Factor in the fact that modern Chromebooks can now run all the same apps as your Android phone, and the lines between different types of devices are becoming more blurred than ever. Everything is just mobile technology, and everything just does what you want it to do. It all "just works," to borrow a phrase — only in this instance, it could actually be true. It's almost certainly what Google wanted from this feature and from Chromebooks in general when they first launched, but at that point, the concepts were still a touch ahead of their time. Speaking of the past, that introductory Chromebook video we were talking about a second ago ends with an exchange that now seems almost eerily prophetic. "I wonder if people are ready for this. It's kind of a new thought," the man narrating the clip says. "It is a new thought," the graphics on the screen respond. "Ready when you are." It took far longer than Google probably wanted — and a bunch of pieces had to fall into place before it could happen — but now, seven years later, it looks like the world may finally be there.